Our caring and kind-natured dental providers go out of their way to make you feel comfortable and relaxed regardless of the procedure. We pride ourselves on delivering your care in a gentle and supportive way. Regular dental checks of your mouth allow the dentist to pick up issues early, often before serious dental diseases occur. Problems that are caught early will generally be simpler and more affordable to treat. 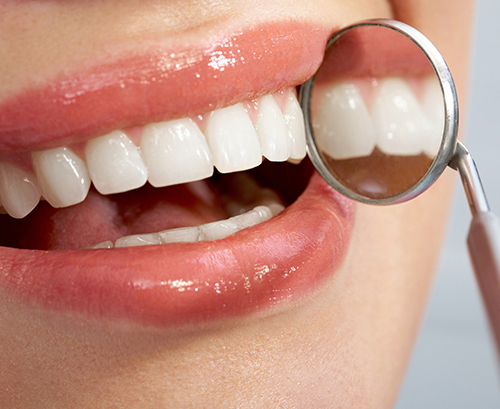 At Salamanca Dental we recommend 6-monthly check-ups. Regular dental hygiene visits not only help to maintain clean teeth but also help to reduce disease and keep the mouth odour free. Without regular scales and cleans, dental treatment will not last as long and there is an increased risk of future problems, such as tooth decay, bleeding gums and bone loss. 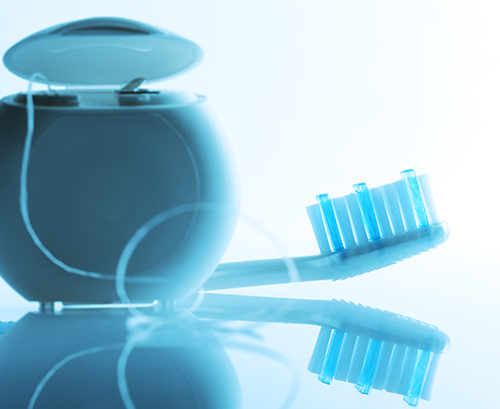 At Salamanca Dental we recommend 6 monthly hygiene visits for the majority of our patients. 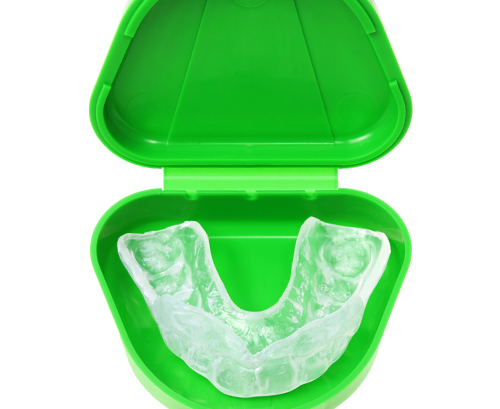 A custom made properly fitting mouthguard acts like a shock absorber during times of impact and can help prevent broken teeth and injuries to the face. They are comfortable and easy to use and should be worn during any contact sports. Most people clench and grind their teeth without knowing it. Grinding during sleep is when the highest forces are exerted. This leads to wearing away of vital tooth structure, short or cracked teeth and muscle tension resulting in headaches and longer term jaw joint degradation. Using a night guard while sleeping aims to prevent much of this type of damage. At Salamanca Dental, we encourage you to be an active participant in your dental care, so you can make informed treatment decisions with confidence. Fillings are used to replace missing tooth structure following chipping of teeth or decay removal. We generally use aesthetic tooth-coloured fillings to restore the tooth to as close to its natural appearance as possible. These days, silver mercury fillings are less popular for a number of reasons; however, they may be required in some circumstances. Talk to your dentist and ensure you choose a filling that’s right for you. Porcelain veneers are custom-made shells placed over the front of the teeth to change the colour, size or shape of the teeth and are bonded (glued) into place. They require minimal tooth preparation and can produce dramatic results. Crowns and bridges are restorations custom made from stronger and more durable material than regular fillings. They are usually made of tooth-coloured porcelain or gold. Crowns are like caps that cover a tooth and shield it from bite forces. They are usually recommended when a tooth is cracked or broken down. Bridges are one of the ways to replace a missing tooth. They consist of two crowns on teeth either side of a gap connected by a false tooth. Implants are special titanium screws placed in the jawbone to restore a missing tooth. 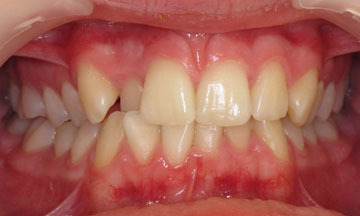 They are long lasting, and treatment does not affect adjacent teeth. An implant is the closest thing in dentistry to a natural tooth. Implants can also be used to restore multiple teeth and can be an alternative option to dentures. 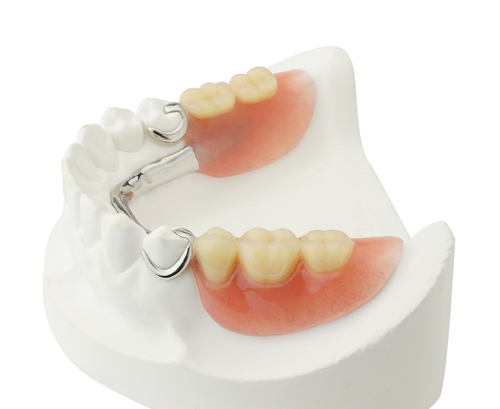 Dentures or false teeth are the traditional way to restore multiple missing teeth. They are used to restore aesthetics, chewing, speech and lip support. Aching teeth with nerve damage need to have the tooth nerve removed by a careful procedure to make them pain-free. This is known as root canal treatment and is a great alternative to extraction. Once the nerve chamber is cleaned and space-filled, the tooth usually requires a crown to stop it from cracking or chipping. Teeth can discolour with time or due to other reasons. Various products and procedures can be used to enhance the brightness of your smile. Salamanca Dental will design a whitening plan that’s specially customised to your unique needs and smile. 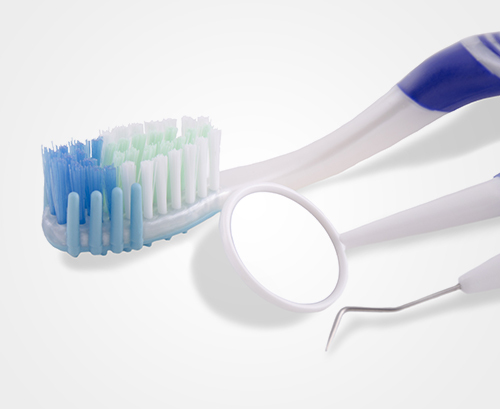 We only use dental products that are available through dentists’ offices to ensure optimum safety. They come in different treatment types and strengths to suit your lifestyle and sensitivity. With our Philips Zoom WhiteSpeed, your smile can be up to eight shades whiter in just one 90-minute office visit to your dentist. It’s the first thing people notice about you – and when you feel good about it, it shows. At Salamanca Dental we have a variety of whitening options to fit your lifestyle. 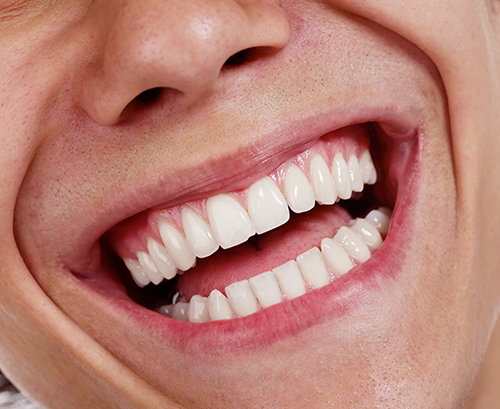 And when it comes to whitening – as with everything having to do with your smile – our dentists are your best resource. If you would like any more information, come in and have a discussion with one of our smile providers. Most dental procedures can be performed in a hospital environment while you are under general anaesthesia. This is an excellent way to treat people who need to have major dental surgery or who have severe dental anxiety. As well as general dentistry, Salamanca Dental offers patients a facial aesthetic service. Facial aesthetics refers to the revitalisation and rejuvenation of associates structures such as lips, skin and muscles of facial expression. 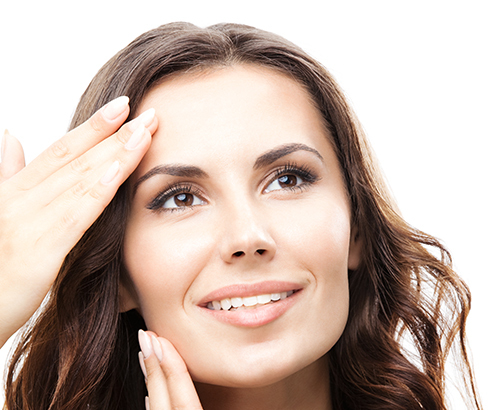 Anti-wrinkle – we administer muscle relaxant injections, which act to soften wrinkles or facial lines. This treatment helps to prevent the formation of new lines and wrinkles over time. Results become visible after 4-14 days and last on average, 3-4 months. TMJ treatments – Anti-wrinkle treatments are useful adjuncts to other TMJ treatments provided by dentists. We treat our patients from a comprehensive standpoint which may include injecting muscle relaxant into muscles of the head and neck region to reduce behavioural jaw clenching and grinding habits. Effects may last 3 to 4 months before re treatment is necessary. Fillers – Using a natural, biodegradable gel, dermal fillers treatments support the natural structures of your face and skin. Treatment instantly fills out those troublesome deep lines, leaving a smooth and natural look and feel. Results are immediate and are proven to last up to 12 months. At Salamanca Dental we offer a private, respectful and holistic facial aesthetic treatment. For more information on our facial aesthetic treatments, please call (03) 6288 8070. In addition, please see our blog on – What can your dentist really do? As well as general dentistry, Salamanca Dental offers patients an orthodontic service. 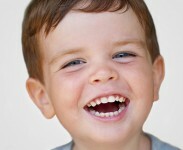 Our Salamanca Dental orthodontic service uses the latest short-term orthodontic system called QuickStraightTeeth (QST). QST orthodontic systems are ideal for adults with mild crowding, spacing, rotated teeth and those who want to correct previously orthodontically treated smiles that have relapsed over time. Time – Using QST technology allows our patients to have a straighter smile fast! 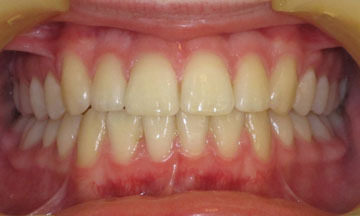 Teeth straightening treatments can take between 4 – 24 months. This is a solution that is shorter in treatment time than conventional orthodontics. 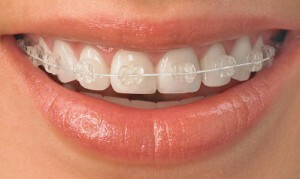 Appearance – Both styles of QST braces (removable appliances and clear fixed braces) are made of tooth coloured materials. In most cases, we find that people are unable to tell that you are wearing braces. Comfort – QST styles are designed to ensure optimum comfort. This means that not only are QST braces discreet, they are also comfortable, allowing you to continue to smile like you mean it! Salamanca Dental supports the benefits of time, appearance and comfort with their exceptional service. Our orthodontic patients will be treated once a month for a review and adjustments. At the completion of your treatment you will be provided with a retainer to ensure your new smile doesn’t relapse, and additionally we give you a complimentary take-home whitening kit to help you keep your teeth looking their best. For more information on Salamanca Dental’s orthodontic service please call on (03) 6288 8070 or visit www.QuickStraightTeeth.com.au. We believe childhood is the best time for prevention and education to promote good lifelong habits. By checking little smiles, we can detect and treat any developmental issues, decay or tooth crowding early, or possibly avoid them altogether. Check-ups and a variety of treatments are available and tailored to the needs of children. The dentist will discuss the best course of action at the examination appointment. We also welcome all major health funds including BUPA, St Lukes and Medibank.